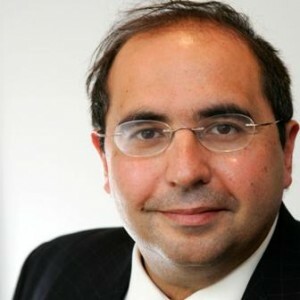 Nick Kounoupias is a UK solicitor and one of the best-known names in the international IP world. Nick has practised across all the IP sectors since 1986 both in private practice and in house and during that time developed a formidable international reputation for his depth of IP knowledge and diverse strengths. Nick has set up Kounoupias IP to provide guidance on IP issues outside of the field of traditional legal services. Nick is passionate about protecting intellectual property rights and is regularly instructed from all over the world to provide strategic guidance and support on IP issues to UK and international IP businesses, those involved in the creative industries, academic institutions, law enforcement and government agencies. Nick is also a fully accredited mediator and has conducted several mediations in the IP arena. Nick is one of the UK’s leading experts in anti-piracy and anti-counterfeiting and possesses extensive experience of managing and conducting investigations in the IP sector and in particular is considered to have pioneered the use of private prosecutions of copyright infringers for the music industry. Nick is in particular demand for his thought leadership on IP issues and regularly contributes to IP journals, books and regularly provides professional training on IP at seminars and webinars. Nick helped draft the Copyright and Trade Mark (Offences and Enforcement) Act 2002 and the IP Act 2014 and has for many years successfully lobbied all over Europe on behalf of diverse industries for changes to copyright, trade mark and designs laws. Nick led the successful campaign on behalf of UK designers to recognise the copying of registered designs as a criminal offence. In recognition of his contribution to the design industries Nick was appointed a Liveryman of the Worshipful Guild of Furniture Makers (www.furnituremakers.org.uk) and a Freeman of the City of London. Nick is regularly instructed by clients to monitor and advise on proposed changes to the UK and EU IP laws. Nick has held many senior industry appointments; Nick was a founder and Vice Chairman of the Alliance for IP (AFIP – www.allianceforip.co.uk), a Board Director of the Federation against Software Theft (FAST – www.fast.org), Chief Legal Counsel to Anti-Copying in Design (“ACID” – www.acid.uk.com) and its representative at the legal group meetings of the AFIP (www.allianceforip.co.uk) and the IP Crime Group, director of the Anti-Counterfeiting Group (ACG – www.a-cg.org), and former Chair of its enforcement sub-committee, a founder and a former executive director of the cross-industry Copyright Hotline, and Chairman of the anti-piracy committee of the international music collecting society association BIEM (www.biem.org).